Doyle caught six of seven targets for 70 yards and a touchdown in Sunday's 42-28 win over the Raiders. Analysis: A hip injury had kept Doyle out since Week 2, but he returned in style, leading the team in receiving yards. The highlight of his day was a 10-yard touchdown in the fourth quarter. Fellow tight end Eric Ebron also found paydirt in this one, showing that the talented pair should be able to coexist after the team's Week 9 bye. Doyle (hip) does not carry an injury designation for Sunday's game against the Raiders after practicing fully Friday. Analysis: Doyle is thus poised to see his first game action since injuring his hip in Week 2 action. 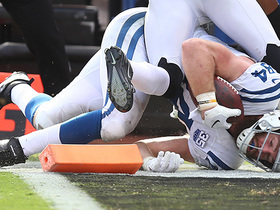 Upon his return, he should re-emerge as a key target for QB Andrew Luck, though the presence of fellow tight end Eric Ebron, who handled a high-volume role in Doyle's absence, suggests that ample targets for Doyle may not be available every week. He therefore profiles as a hit-or-miss fantasy option Week 8. 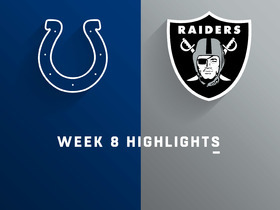 Doyle, who has missed five games due to a hip injury, is on track to play Sunday against the Raiders, Andrew Walker of the Colts' official site reports. Analysis: We'll have to see if Doyle ends up listed as questionable for Sunday's game, or heads into the weekend without an injury designation. His anticipated return would no doubt bolster the Colts' passing attack, but represents a hit to the fantasy upside of fellow tight end Eric Ebron. Doyle (hip) participated in Friday's practice, Zak Keefer of The Indianapolis Star reports. Analysis: It won't be clear until after practice how much Doyle was able to do, but this is his third straight day on the practice field, so he will have a chance to play Sunday for the first time since Week 2. Doyle (hip) logged another limited practice Thursday. Analysis: Coach Frank Reich noted Wednesday that Doyle has a shot to return to action Sunday against the Raiders, but at this stage we wouldn't consider the tight end a lock to suit up in Week 8. If he's limited or out this weekend, Eric Ebron would once again be heavily counted on in the Colts passing game. Doyle (hip) returned to practice Wednesday as a limited participant. Analysis: Doyle previously hadn't practiced in any capacity since Week 2, when he first injured his hip. Given the length of his absence, it's difficult to have confidence in Doyle being available Sunday at Oakland unless he logs a full session by the end of the week. Coach Frank Reich didn't exactly sound confident Wednesday when asked about the matter, merely noting that he thinks Doyle has a shot to return. Coach Frank Reich said that Doyle (hip) will practice Wednesday and has a shot at suiting up Sunday against the Raiders, Andrew Walker of the Colts' official site reports. Doyle (hip) has been ruled out for Sunday's game against the Bills, Kevin Bowen of 1070 The Fan Indianapolis reports. Analysis: With Doyle set to miss his fifth straight contest, Eric Ebron will once again head the Colts' tight-end corps. Erik Swoope (knee) and Mo Alie-Cox are on hand to work behind Ebron in complementary roles. Doyle (hip) wasn't spotted on the field for Thursday's practice, Kevin Bowen of 1070 The Fan Indianapolis reports. Coach Frank Reich suggested Doyle (hip) may be nearing a return to practice, Kevin Bowen of 1070 The Fan reports. "You can tell Jack is ready and wanting to go," Reich said Wednesday. Doyle (hip) wasn't spotted at practice Wednesday, Kevin Bowen of 1070 The Fan Indianapolis reports. Analysis: Doyle has been viewed as week-to-week of late and his absence from practice Wednesday suggests that remains the case in advance of Sunday's game against the Bills. Assuming Doyle is out for another game, Eric Ebron would once again be in line to head the Colts' tight end corps, with Erik Swoope and Mo Alie-Cox on hand to work in complementary roles. Doyle (hip) has been ruled out for Sunday's game against the Jets, Kevin Bowen of 1070 The Fan Indianapolis reports. Analysis: With Doyle and wideout T.Y. Hilton (hamstring) still sidelined, Eric Ebron (shin/quad/ankle/knee) -- who returned to practice Friday -- once again appears poised to see his share of targets in the Colts' Week 6 passing attack. Doyle (hip) was missing from practice again Thursday, Kevin Bowen of 1070 The Fan Indianapolis reports. Analysis: With coach Frank Reich having labeled Doyle (hip) as week-to-week during Wednesday's media session, the tight is trending toward being ruled out for Sunday's game against the Jets. If that's the case, Eric Ebron should be in line for a big workload once again in Week 6, assuming he's able to tough things out through listed shin, quad, ankle and knee issues. Coach Frank Reich labeled Doyle (hip) as week-to-week during Wednesday's media session, Kevin Bowen of 1070 The Fan Indianapolis reports. 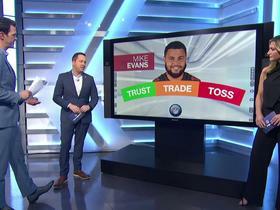 Analysis: While Doyledidn't practice Wednesday and hasn't yet been ruled out for Sunday's game against the Jets, he's clearly trending toward sitting out the contest, per Mike Wells of ESPN.com. If that does in fact happen, fellow tight end Eric Ebron should be busy once again in Week 6, especially with the availability of top wideout T.Y. Hilton (hamstring) looking iffy at this stage. Doyle (hip) won't play Thursday against the Patriots, Mike Wells of ESPN.com reports. Analysis: Doyle's continued absence sets the stage for Eric Ebron to remain heavily involved in the Colts' passing attack in Week 5. Ebron has logged 10 catches for 73 yards and a touchdown across 21 targets while filling in for Doyle over the last two games. Doyle (hip) is listed as a non-participant on the Monday injury report for Thursday's game against the Patriots. Analysis: Doyle missed the past two games and is off on the wrong foot for Week 5. The Colts didn't actually practice Monday, so the injury report is just an estimation of participation levels. It's hard to see Doyle returning unless he practices in some capacity Tuesday or Wednesday. Doyle (hip) has been ruled out for Sunday's game against the Texans, Mike Wells of ESPN.com reports. Analysis: Doyle's absence sets the stage for Eric Ebron (shoulder/knee) to remain heavily involved in the Colts' passing attack this weekend. In a 20-16 loss to the Eagles in Week 3, Ebron was targeted a team-high 11 times en route to hauling in five catches for 33 yards. Doyle (hip) didn't practice again Thursday, Kevin Bowen of 1070 The Fan Indianapolis reports. Analysis: With Doyle considered "week-to-week," he's trending toward being officially ruled out for Sunday's game against the Texans. Meanwhile, fellow tight end Eric Ebron (shoulder/knee) returned to practice Thursday, which bodes well for his Week 4 status. Doyle (hip) didn't practice Wednesday and is still viewed as "week-to-week," Kevin Bowen of 1070 The Fan reports. Analysis: Doyle didn't practice at all during Week 4 and was ruled out two days in advance of Colts' loss to the Eagles. His absence allowed Eric Ebron to draw a team-high 11 targets while playing 88 percent of the offensive snap. Ebron also showed up on Wednesday's injury report, missing practice due to shoulder and knee injuries. There's no indication either issue is serious, but it does become more of a concern with Doyle trending in the wrong direction for Sunday's game against Houston. Doyle (hip) has been ruled out for Sunday's game against the Eagles, Kevin Bowen of 1070 The Fan Indianapolis reports. Analysis: Per Stephen Holder of The Athletic, Doyle is week-to-week, according to coach Frank Reich. In his absence, fellow tight end Eric Ebron's fantasy upside increases now that he'll temporarily be working outside the context of a timeshare. Doyle (hip) wasn't seen at practice Friday morning, George Bremer of The Anderson Herald Bulletin reports. Analysis: Doyle didn't practice Wednesday or Thursday, so him missing Friday's practice would be major cause for concern. Eric Ebron would be set for an increased workload if Doyle is out or limited against the Eagles. The 28-year-old should receive an official injury designation later Friday. Doyle (hip) was not present for Thursday's practice, Kevin Bowen of 1070 The Fan Indianapolis reports. Analysis: Back-to-back practice absences Wednesday and Thursday set the stage for Friday to be a big day for Doyle in terms of his Week 3 availability. If he's limited or out this weekend, added opportunities would be on tap for fellow tight end Eric Ebron on Sunday against the Eagles. 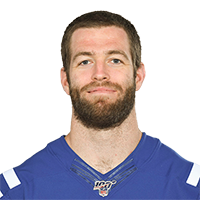 Doyle didn't practice Wednesday due to a hip issue, Andrew Walker of the Colts' official site reports. Analysis: Doyle was one of eight Colts to miss practice Wednesday, and it's still a bit early to get a read on whether he's in any danger of missing Sunday's game against the Eagles. Through two games to date, Doyle has logged nine catches on 15 targets for 80 yards while working in a tight-end timeshare with Eric Ebron. Ebron has caught seven of nine targets for 77 yards and two scores. Doyle had two receptions for 20 yards on five targets in Sunday's win at Washington. Analysis: Eric Ebron had more receptions (three) and caught a touchdown, but Doyle had more targets (Ebron had three) and played more snaps on offense (59 to Ebron's 17 snaps). While Ebron may take away red-zone targets from Doyle, it doesn't look like Indy's two-tight end usage is a threat to Doyle's target share despite mediocre production against Washington. 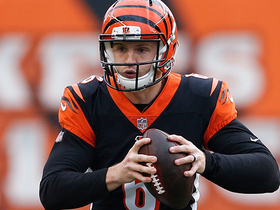 Doyle had seven receptions on 10 targets for 60 yards Sunday, but lost a critical fumble in the fourth quarter that led to a game-winning touchdown for the Bengals. 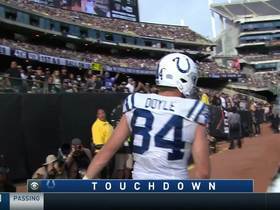 Analysis: Doyle was second on the team in targets after T.Y. Hilton, so he showed he'll be a mainstay of the offense even with Eric Ebron (who scored a touchdown) part of the receiving mix. Doyle had lost just three fumbles in his last five seasons, so we wouldn't be overly concerned about ball security issues. Doyle caught two of four targets for 32 yards in Monday's preseason loss to the Ravens. Doyle secured his only target for nine yards in the Colts' 19-17 preseason win over the Seahawks on Thursday. The Colts signed Eric Ebron to join Doyle at tight end, Stephen Holder of the Indianapolis Star reports. Doyle had four receptions for 38 yards on five targets, including a six-yard touchdown, in Sunday's win over Houston. Analysis: Doyle was one of the few things working well for the Indy offense in 2017 as he finished with 80 receptions for 690 yards and four touchdowns. His production could get a boost if Andrew Luck is able to return from a shoulder injury in 2018. Doyle had five receptions for 41 yards on 10 targets in Saturday's loss at Baltimore. Analysis: Doyle figured prominently into the passing game even if he was only able to connect half the time with Jacoby Brissett. 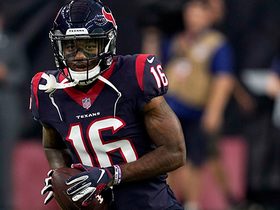 He had eight receptions for 63 yards the last time the Colts faced the Texans, who they play again in Week 17. Doyle brought in seven of eight targets for 47 yards in Thursday's 25-13 loss to the Broncos. 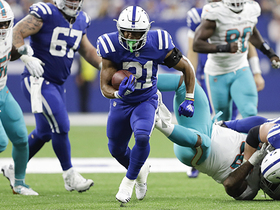 Analysis: Doyle led the Colts in receptions, yardage and targets on the night, as he continues to serve as a security blanket for second-year quarterback Jacoby Brissett. The fifth-year tight end now has a pair of seven-catch outings in the last four games, and although he's seen the occasional downturn, he continues to build on a breakout year that includes career highs in receptions (71) and receiving yards (611). He'll look to continue building on those numbers versus the Ravens in Week 16. Doyle had two receptions for four yards on three targets, including a three-yard touchdown, in Sunday's loss at Buffalo. Analysis: Doyle had a season low in targets, yards and receptions, but it's hard to read too much into his performance given how much the passing game was limited by playing in a heavy blizzard. He should get more action in the passing game next week against Denver. Doyle had three receptions for 16 yards on five targets in Sunday's 30-10 loss at Jacksonville. Analysis: Indy's passing game could never get going against a tough Jacksonville offense. Doyle remains perhaps the top target in the Indy passing game and should bounce back next week at Buffalo. Doyle caught seven of eight targets for 94 yards in Sunday's 20-16 loss to the Titans. 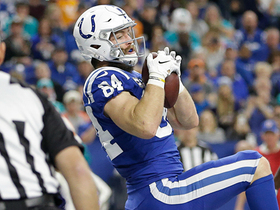 Analysis: Doyle was the only player able to get anything going in the passing game for Indianapolis, as nobody else racked up more than 34 receiving yards. While wide receiver T.Y. 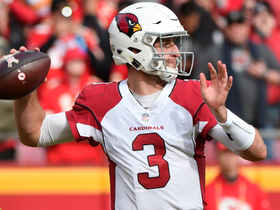 Hilton has a higher ceiling thanks to his blazing speed, Doyle has clearly become the most dependable option for quarterback Jacoby Brissett with at least six catches in five of the past six games and over 60 yards in three of the past four. Doyle brought in two of five targets for nine yards in Sunday's 20-17 loss to the Steelers. Analysis: The talented tight end saw his role considerably diminish Sunday, with his reception and receiving yardage totals serving as season lows. Doyle also saw his fewest targets since Week 3, leading to a forgettable afternoon overall from a fantasy perspective. Despite his unexpected downturn, the 27-year-old undisputably serves as one of Jacoby Brissett's most trusted targets, keeping his stock high heading into the Colts' bye week. Doyle caught eight of nine targets for 63 yards in Sunday's 20-14 win over Houston. Analysis: Doyle has looked fully healthy over the past two weeks, hauling in a combined 20 passes for 184 yards and a touchdown in that span. The 27-year-old tight end is his team's only dependable receiver besides T.Y. Hilton week in and week out, so use Doyle with confidence now that he's returned to form after dealing with a concussion.